For applications that require nothing less than maximum performance, we offer the premium product Technora® within our range of aramids. Because of its combination of unique properties, you can rely on Technora® for the most challenging applications: from transmission belts and automotive hoses to ropes, umbilicals and flowlines. Specifically, Technora® is eight times stronger than steel, and has high modulus, as well as excellent heat and chemical resistance. Technora® is Teijin Aramid’s high-end, high-performance, para-aramid yarn. Thanks to a unique co-polymer chemical composition that sets it apart from other PPTA-based para-aramid yarns, Technora® offers superior performance in terms of fatigue, abrasion resistance, chemical stability and temperature resistance. The result is outstanding durability combined with very high tenacity. Contact us now and find out what Technora® can do for you. 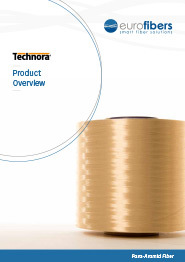 The characteristics of Technora® originate from the unique molecular and crystalline structure of the aramid, with molecular chains preferentially oriented along the Technora® yarn filament axis. Technora® was born in Japan, with the unique properties of the material first discovered by Teijin in 1974. The discovery followed an extensive research and development project aimed at creating a new heat-resistant co-polymer. In 1980, Technora® underwent its first sampling by customers. Teijin registered the Technora® brand name in 1986, paving the way for commercial production the following year. Over the past 30 years, Technora® has been used in a growing number of applications. Technora® filament yarn adds value to numerous applications – including power-transmission belts for automotive, industrial and agricultural applications, as well as hoses, ropes and cables, flexible pipes, rubber products, protective clothing and composites – and is available in a wide range of linear densities and surface treatments. Specifically, it can be supplied in linear densities starting as low as ~ 60 dtex, depending on the yarn type. Technora® filament yarns can be combined to high linear density yarns or cords. The properties can be tuned to the application requirements by using untwisted yarn or twisted cord constructions. The resulting filament yarn types can be further differentiated by applying dedicated surface treatments, offering – for example – compatibility with rubber, optimized weaving processing behaviour or added fatigue resistance. In addition, Technora® products can be supplied with extra surface treatments for enhanced performance – i.e. a marine finish can be applied to the yarn used in rope products to deliver optimized abrasion resistance. Technora® filament yarn is available with either its natural, dark-yellow coloring or in black. Black Technora® is used in applications where special requirements exist regarding the appearance of the yarns. Specifically, black Technora® is used in applications such as composite fabrics and protective clothing. The black color is created by dope- dying, resulting in good color fastness. Available in either dark yellow or black, Technora® staple fibers reinforce textile applications for gloves as well as protective apparel against heat and cuts. These staple fibers are available with a specific fiber length of 51 mm, and a linear density of 1.7 dtex. In addition to staple fibers, Technora® can also be supplied as stretch broken yarns or as spun yarns, and with a linear density starting as low as 110 dtex. Technora® filament yarn can be converted into short-cut fibers or dipped chopped fibers with a range of lengths, typically between 1 mm and 30 mm, for use in, for instance, resin, cement and rubber reinforcement. Unlike other high-performance aramids, Technora® offers both excellent primary properties, such as tenacity and strength, and secondary properties, such as heat and abrasion resistance. Because of this, Technora® can meet a wide range of demanding requirements, making it ideal for highly challenging applications. Technora® yarns have a very high strength, offering a tensile strength that is three to four times higher than polyester and polyamide yarns and eight times higher than steel on a weight-for-weight basis. In addition, Technora® maintains its primary mechanical properties over a wide temperature range. The table below compares the main mechanical properties of Technora® with selected high-performance materials as reported under standard conditions. Fatigue – due to rapidly varying loads – and abrasion – due to movements caused by dynamic loads – are also key considerations in end-use products. Technora® yarns not only offer excellent fatigue resistance, with the ability to absorb dynamic loads for long periods of time, they also deliver very good abrasion resistance compared with many fibers, including other aramid solutions. Consequently, Technora® ensures a long lifetime of end products. All of these mechanical properties are available for reinforcement purposes to ensure a well-defined lifetime of the Technora® yarn. This lifetime is determined by the specific combination of load and temperature. The higher the load, the shorter the lifetime of Technora® yarn. The effects of temperature on the lifetime of Technora® yarn are relatively limited; however, its lifetime is generally somewhat reduced by exposure to higher temperatures. Technora® enables long economic lifetimes of the end-use products when the accepted application safety factors are maintained. However, long-term exposure to UV light should be avoided, since this will result in discoloration and will negatively influence the mechanical properties of the yarn. The dimensional stability of the reinforcing material is often key in many applications. The high modulus of Technora® ensures that the end-use product shows minimal deformation under a wide range of loading conditions.  What’s more, the end-use product maintains its required dimensions over a long period of time due to the very low and quickly diminishing creep behavior of Technora®. In fact, the material stabilizes even further at higher temperatures, indicated by a further reduction in creep. In addition, Technora® has a small, negative thermal expansion coefficient of only a few ppm/°C, further contributing to the high dimensional stability of the yarn. Lastly, Technora® does not experience shrinkage when exposed to hot air. The unique mechanical properties of Technora® make it suitable for use in applications over a very wide temperature range. In particular, Technora® has no melting point, and only starts to decompose once the ambient temperature reaches 500 °C (932 °F). For heat-resistant applications, exposure to temperatures above 250 °C (482 °F) is not recommended, to ensure fit-for-use strength retention. Furthermore, Technora® mostly maintains its mechanical properties at very low temperatures of – 200 °C (-328 °F) or below. The thermal isolation behavior of Technora® products is excellent due to the very low heat conductivity of the yarn. Furthermore, the high limiting oxygen index (LOI) of Technora® means that, when exposed to fire, the material ceases to burn as soon as it is removed from flame. The unique molecular and crystalline structure of Technora®, in conjunction with the closed morphology of its filaments, prevents chemicals from penetrating the polymer structure of the material. Resistance to organic chemicals is therefore excellent, while resistance to inorganic chemicals varies according to pH value. Concentrated solutions of strong acids and strong bases will result in hydrolytic degradation, especially at elevated temperatures. In a changing world, the core objective of Teijin Aramid remains the same: to make sure Teijin Aramid continues to be the leading aramid company in the world. Sustainable value creation and cost-efficiency are critical factors in our success and are strongly embedded in our company’s strategy. This means that, at Teijin Aramid, they strive to deliver products that meet our customers’ needs as efficiently as possible, while enabling them to reach the highest standards for performance. Technora® yarns excel in end products where the application is subjected to highly demanding conditions. In particular, demanding application environments require reliable reinforcement materials where the risk of failure is minimized. On the next pages key examples of applications are shown where Technora® offers the solution to these challenges. Technora® provides short-cut fiber compound reinforcement, as well as twisted cords and fabrics, in a wide range of power-transmission belts for automotive, industrial and agricultural applications. Specifically, Technora® enhances a number of key rubber compound characteristics, such as resistance against abrasion, fatigue, puncture and tears, while also improving strength and hardness. Technora® also allows a low strain in the compound and ultimately helps in reducing energy loss. This makes Technora® ideal for high-end transmission belt applications in tough conditions. Technora® is used as a hose-reinforcing yarn in a wide range of automotive hose applications, including radiator hoses, transmission-oil-coolant hoses, air-conditioning hoses and fuel hoses. Technora® is a unique material for automotive hoses due to its combination of high strength and superior heat resistance, including chemical resistance and dimensional stability. The overall outcome is superior end-product performance, improved reliability and extended product lifetimes with reduced maintenance. With its unique combination of properties, Technora® yarn has a proven track record in challenging and demanding fields – including the mining, offshore and leisure industries – reinforcing and strengthening ropes and cables and making them safer and easier to use. In particular, Technora® helps support key application qualities, such as fatigue life, and resistance to abrasion, heat, chemicals and seawater. Unlike steel, Technora® is not susceptible to corrosion. It also enables reduced weight and long-term dimensional stability. The superior hydrolysis of Technora®, combined with its excellent thermal, chemical and fatigue resistance, is increasingly valued in the offshore oil & gas industry. Today, offshore oil companies around the world are using Technora® as a crucial reinforcement agent in umbilicals, in anti-bird caging tapes in flowlines, and other vital deepwater applications. Technora® is available in different grades and linear densities, further enhancing the essential properties needed to drive performance in deep-sea environments. The aramid products in Teijin Aramid’s portfolio are intrinsically capable of enabling sustainability. Technora® makes light- weight, long-lasting, durable solutions possible. In this way, it contributes to a reduction in carbon footprint, while allowing customers to conserve scarce raw materials and reduce the lifecycle cost of their applications. Furthermore, Teijin Aramid is optimizing its product offering in order to enable the reduction of aramid waste at their customers’ production sites. Remaining aramid waste is reused to create value-added products. Innovation and cooperation are key drivers of sustainability and cost-efficiency. Because of this, Teijin Aramid has several dedicated research and development sites around the world, as well as customer support facilities. These facilities allow them to further develop standard aramid products to meet even the most demanding customer requirements. Improvement in understanding the behavior of aramid products under the actual application conditions contributes to the most effective use of their products.